The mad axeman is back, and this time he's brought some of his mates with him. You might know them, three chaps by the name of Gary Barden, Graham Bonnet and Robim McAuley. In an inspired move, Schenker sweet talked them into joining him to play a single concert celebrating their time together, and what we have here is the entire thing on one lovely DVD or two CDs. The package comes in a nice, solid box, although inside are the three discs in cardboard sleeves and a slim booklet (that doesn't give any credit to the rest of the band or tell you when it was recorded). So whilst it will look nice on the shelf, a chunky booklet with an essay on the band by a decent scribe would have been welcome. Aside from that, it is the music that counts, as they say (especially when 'they' have short changed you on the booklet) and it's hard to imagine this being anything less than a good watch/listen. Each singer's section (five songs each for Barden & McAuley, three for Bonnet) is preceded by a Schenker sol piece, namely 'Into the Arena', 'Coast To Coast' and 'Captain Nemo'. The track choices themselves are spot on, and the vocalists acquit themselves admirably, with Bonnet in particular hitting some tricky notes for man his age. Of the three, I have to say I prefer McAuley, who gives a great performance and sounds great to boot. 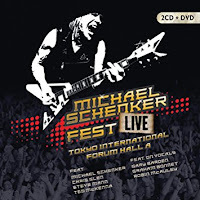 Through it all, Schenker does his job without flair but with his usual massive talent. For final track 'Doctor Doctor' the three singers join forces, much to the delight of the 5000 strong crowd. Visually, it isn't a big production. Some lights, a backdrop and plenty of Marshall amps is all you get, and it's the music that does the talking. The sound quality is very good, and the multiple cameras capture the energy of the performance well. It's always good to have the CD back up in the same package, rip friendly for those who like to take their Schenker on the move. It's been a while since I heard the likes of 'Attack of The Mad Axeman', Assault Attack', 'Rock Bottom', 'This Is My Heart' and 'Dancer', and the concert brings back plenty of happy memories, as I'm sure it will for anyone who picks it up. A little bit of history first: the first SEVEN recordings and tours took place in the late eighties, when the band had major label support. They released a couple of singles and toured with Richard Marx among others back then, but never got around to releasing an album. Until 2014 that is, when Escape Music talked them into putting together their debut, with a little help from Swedish producer Lars Criss. Now, a couple of years later Seven is back with their second album. Vocalist Mick Devine is the only one remaining from the original line-up, with the other vacancies filled by Swedish musicians such as Fredrik Bergh and Andy Loos. Despite these changes, the sound of the band is still intact. This album sounds like a natural successor to the debut. Devine’s smooth vocals are very recognisable and the songs are blessed with a lot of melody and hooks. With a superb production on top of it all, what we have here is one of the finest AOR albums of 2016. I pretty much like all of these songs, but of course there are a few standout tracks. ”A Better Life”, ”High Hopes”, ”Pieces Of You” and ”Taking Over” are simply fantastic AOR songs with massive hooks. And that’s just to name a few. 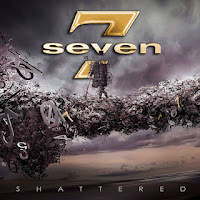 While ”Shattered” doesn’t offer anything revolutionary, it’s still a fresh-sounding AOR album with a contemporary sound. I especially like the fact that most of the songs are uptempo and that the songwriters haven’t tried to re-write the standard mid-paced Journey song once again. 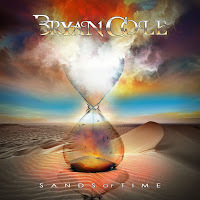 The debut album from Bryan Cole is timeless, classic AOR in the vein of Survivor, Journey, Mitch Malloy and Giant. Well produced but not over-polished, ”Sands Of Time” is sure to please most AOR fans. A few of the songs include familiar names in the credits - Jim Peterik of Survivor and Pride Of Lions is heavily involved, and two songs from the great, late Brett Walker are covered. Bryan Cole himself proves that he’s a decent songwriter with ”We Lost The Fire” and ”I’ll Be There For You”, although the latter owes a lot to ”Price Of Love” by Bad English. The Brett Walker songs ”Hard To Find An Easy Way” and ”More Than A Memory” are both from his ”Nevertheless” album, and genre classics. Cole’s version of ”Hard To Find…” sounds a little more urgent and hard-edged than the original, and I like it a lot. With ”More Than A Memory” he does the unthinkable and drops the killer opening riff of the song - why oh why? I’ve tried to listen this song as a ”new song” and as such it’s good, but I can’t get help it, something’s missing. The Peterik songs are sure-fire AOR, with the opening track ”Burning With A Reason” being on the heavier side of his songwriting. Other highlights include ”When Love Breaks” and the big ballad ”Nothing Matters”. This is a little bit different, as this album is not new. If fact, it's from 2013, so consider this one in a very occasional series of 'How did we miss this when it came out?' reviews. 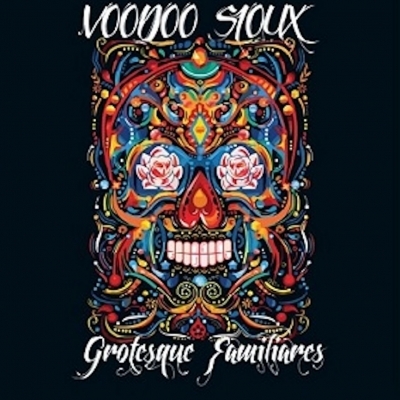 Voodoo Sioux are a Midlands based band who made a small splash back in the 90s when they won a Radio 1 Rock Show competition and released a frankly superb album on the back of it in 1995. That, as it goes, was that, and Voodoo Sioux vanished from my radar until a couple of months ago when YouTube threw up a song called 'Damage' that blew me away and introduced me to their second album, hastily ordered and hungrily digested upon receipt. And that's where you come in, as I'd like to introduce you to 'Grotesque Familiares', an album that makes you sad at all the albums there could have been in the 18 year gap between it and the debut. Here's the thing, boys and girls - Voodoo Sioux are really, really good. They specialize in upbeat, crunchy tracks with distinct rhythms and a sound that is all their own. Take 'Damage', which I suggest you go and find on YouTube - it's at once a catchy, well produced track that comes over as Def Leppard but more tribal and grass roots. Standout track 'Mozart In Reverse' echoes 'Two Worlds' from the debut, and fuses epic crunch with irrepressible melody and a wee bit of fiddle. The ballad 'Indian Summer' is okay if nothing special, but Voodoo Sioux really come alive when they turn on the pace. Tracks like 'Down' and opener 'Pillow Talk' are irresistible, full of life and energy, all polished by Nick Flaherty's unique but sweet vocals. A band like this comes along once in a blue moon, and I thought I'd never again hear the instinctive melodies that graced the debut. 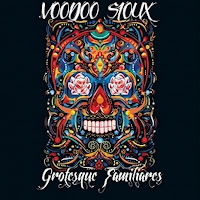 'Grotesque Familiares' is a real kick in the arse, an album that throws guitar, melody and quirkiness at the listener and then does it all over again. You probably haven't ever heard of Voodoo Sioux before, so be the first in your group to uncover one of rock's (unintentionally) bast kept secrets and join me in chasing the voodoo. It's been eight years since Glenn Hughes brought us the wonderfully titled 'First Underground Nuclear Kitchen', and in the meantime has kept me entertained with his Black Country Communion and California Breed work. The man has a ludicrous back catalogue, some of which I love and some of which I would gladly lock in Room 101 for eternity. Eclectic is a word that certainly covers Hughes, and it's always with trepidation that I sit through the first spin of an album by him. Straight off the bat, 'Resonate' promises to be the sort of album that will delight fans of Hughes that enjoy it when he belts out a rocker or two. 'Heavy' does just what it says on the tin, coming over not a million miles away from Dio at his solo peak. Pounding drums, squealing guitars and Hughes on vocal overdrive, it certainly made me sit up and get excited for the rest of the album. 'My Town' follows, and doesn't disappoint, another head shaker with great melody and a huge guitar sound, complemented (as are most of the tracks) by some delicious old school keyboard. The album only slows down eight tracks in with the ballad 'When I Fall', which is followed by the more funky 'Landmines'. Both tracks are okay, but it's when the amps are turned up to eleven that 'Resonate' really, um, resonated with me. Fans of Hughes' BCC work will get a real kick out of 'Resonate', and it goes without saying that long time fans will find plenty to shout about as well. As a fair weather fan of the man I was pleasantly surprised by the whole thing, and have had the album on heavy rotation since it was released at the tail end of last year. 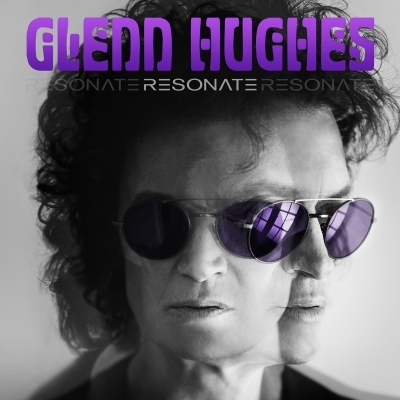 You can't keep a good man down, it seems, and Glenn Hughes is still happy to give us more songs in the key of rock, bless him. I'm sure I'm not the only one who remembers buying this way back on it's release, marveling at the sumptuous melodies, the instant hooks and the dodgy haircuts. 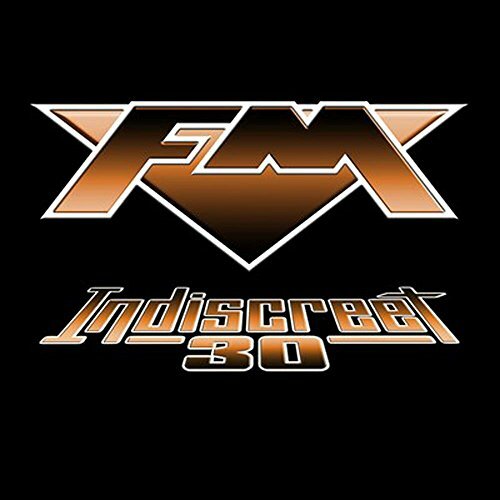 'Indiscreet' has long been hailed as an AOR landmark, and it has stood the test of time as well as the likes of 'Slippery When Wet' and '1984'. So why re record it? Seems the band were never happy with the production on the original, (although the Rock Candy re-release certainly improved it), and also they hadn't lived with the songs like they have ever since. Look - they wanted to do it and that's that! So it goes without saying that this is an amazing album - after all, it's the same tracks in the same order. The production is indeed better, as expected, but what you want to know is should you bother buying 'Indiscreet' again? Well, in a word, yes. Me, I already had the original and the Rock Candy release (and a French version), but I love listening to the tweaked version. In the main, there's really very little difference, with perhaps the most changed song being 'American Girls', simply because it now has a little more urgency about the guitars. Elsewhere there's small flourishes that will only be noticed by the rabid fan (guilty! ), and Steve Overland is now allowed to sing in a lower key to suit his more mature voice. Again, this isn't that noticeable unless you are au fait with the original. Speaking of Overland, he sounds superb throughout as expected. 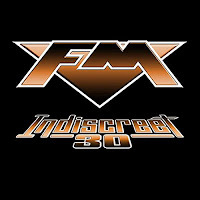 So you have the original album, but as this is FM mark II it wouldn't be a proper release without a ton of bonus tracks. There's re recordings of 'Let Love Be The Leader' and 'Shot In The Dark' tacked on, as well as a smooth new track, 'Running On Empty'. From previous EPs there's 'Love & Hate', 'Bad That's Good In You' and the superb "Rainbow's End', in my eyes one of their best tracks. Finish off with the amazingly good acoustic version of 'That Girl' and you have a pretty solid package. So yes, this a chance to buy something you already own (if you don't, just stop reading and get it), but if you're a fan I seriously think it's worth the outlay. 30 years in the making, this takes a classic and makes if, well, different if not better, and different can be very good indeed. The first thing that will strike newcomers to One OK Rock is surely the weird name, which sounds kinda silly if I'm being honest. Thing is, once you know the band are Japanese it becomes a lot more forgivable. 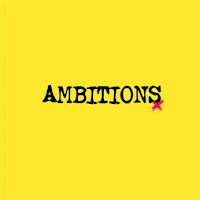 "Ambitions" is only their second English language release, with eight Japanese ones under their collective belt, and I can imagine people having a hard time believing this, as One OK Rock sound like any of a dozen American pop punk bands, with no hit of their origin betrayed by the music. So, yeah, this is ostensibly a pop/punk rock/pop album, meticulously crafted to appeal to the sort of people who still like All Time Low, 30 Seconds To Mars or even Daughtry. In their earlier days One OK Rock had more of an aggressive edge but this has been filed down to allow them to slot seamlessly into the collections of millions of American teenagers and twentysomethings. There's thirteen tracks to play with, plus the usual pointless intro, and whilst it would be easy to dismiss the album as another cut and paste piece, One OK Rock survive a critical pasting simply because they write some very good songs. Opener "Bombs Away" is a bouncy, catchy piece, with vocalist Takahiro Moriuchi showing he can sing this stuff as good as any of the big American stars. It is very easy to imagine this track being a bit hit, and the same goes for several other tracks on the album. When they slow it down the music can get a little middle of the road, but even then there are no duff tracks, which is always a relief. 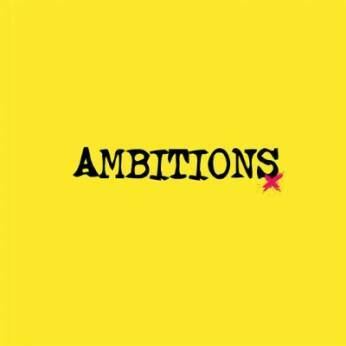 "Ambitions" certainly achieves what it sets out to do, which is to give One OK Rock the chance of a worldwide hit, and has the songs and clear production that could easily break America and the UK if it gets heard by the masses. A bit too generic for me to go crazy over, this album is a definite success that should be sought out by anyone who likes a healthy dose of pop sensibilities in their rock.